Royal Caribbean held their quarterly conference call today to discuss their quarterly financial results with analysts. There’s good news for investors. As evidenced in their results, Royal Caribbean has found more ways to separate consumers from their money. No, Toto, Quantum of the Seas is homeported in China now, and the newest specialty restaurant should be a clue. 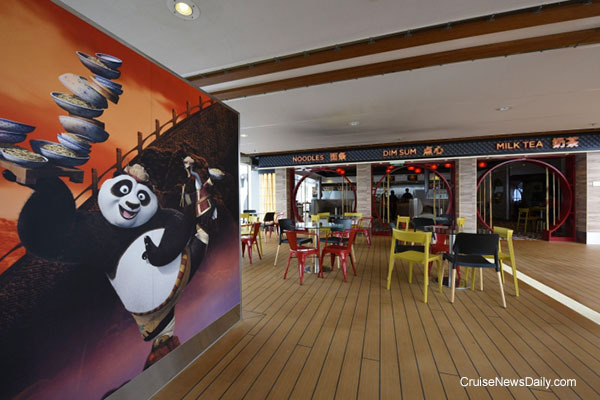 In partnership with DreamWorks, Kung Fu Panda Noodle Shop has just opened aboard Quantum. Details appeared in the July 30 edition of Cruise News Daily. The complete stories appeared in the July 30 edition of Cruise News Daily. Sit down to lunch in the main restaurant aboard a Costa ship, and Americans might be surprised it’s like nothing they’ve seen on the Olive Garden’s menu. It’s more like having lunch in a fine restaurant in Genoa. It’s hard to imagine anything more Italian. But Costa’s about to make their cuisine even more authentically Italian. Two crew members aboard Pride of America were hospitalized when they were injured in an accident Tuesday afternoon. It occurred while the ship was docked at Hilo, and EMS was called at 2:08pm, according to Hawaiian EMS officials. Norwegian Cruise Line said “officers were performing a routine check of the ship's Rescue Boat” when the incident occurred. Norwegian’s statement didn’t say exactly what happened, but local media said the boat fell about 45 feet into the water. Norwegian said that the incident occurred “during the recovery operation of the boat” (apparently as it was being raised from the water back onto the ship). Now it looks like a Norwegian ship. If you check the construction pictures of Norwegian Escape from Meyer Werft when we post them, you’re used to seeing the stark white hull as you’ve been seeing the ship come together. Not anymore. 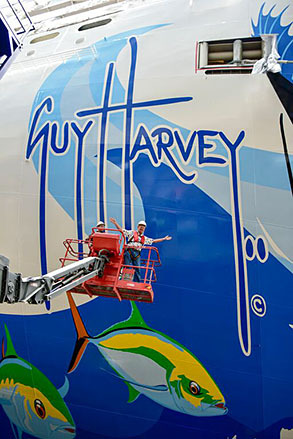 Meyer’s painters have now applied the Guy Harvey artwork to the 1,065-foot hull. Photos courtesy of Norwegian Cruise Line. All rights reserved. May not be copied or used without permission. 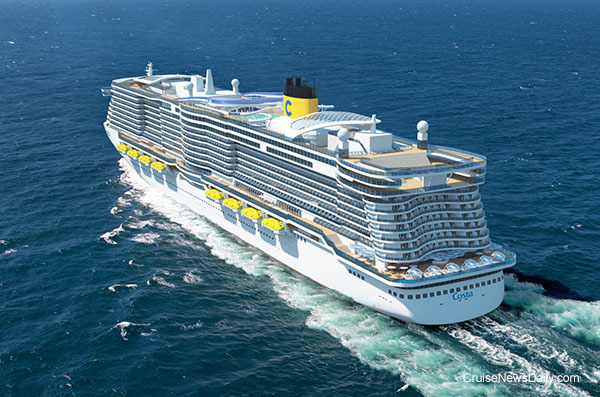 In March Carnival announced plans to build nine ships for delivery from 2019 through 2022. They are going to be split between Fincantieri and Meyer. 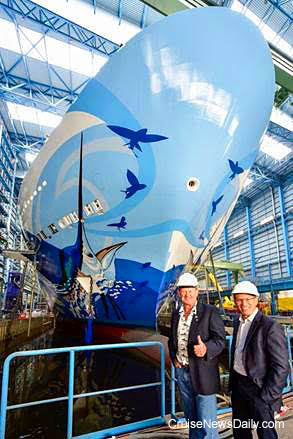 Meyer will build four and split them between their Papenburg and Turku facilities. Last month when the contract with Meyer was finalized, Carnival said the two ships built in Papenburg would go to their German brand, AIDA. Today they revealed that the two built in Turku will go to Costa for delivery in 2019 and 2020. Rendering courtesy of Costa Crociere. All rights reserved. May not be copied of used without permission. 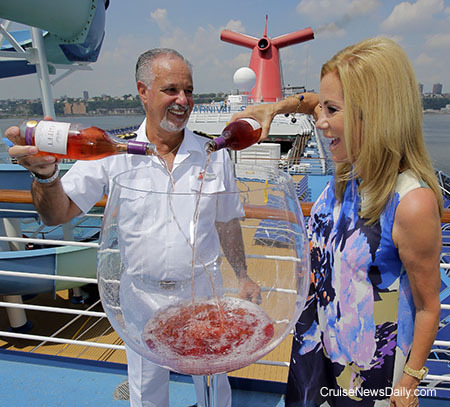 At the beginning of the year we told you about Kathie Lee Gifford partnering with Carnival to sell her GIFFT wine aboard Carnival ships. The Red Blend and the Chardonnay have become some of the most popular on Carnival’s wine list. Buoyed by that success, Carnival now has introduced a third GIFFT wine, a Pino Noir Rose. 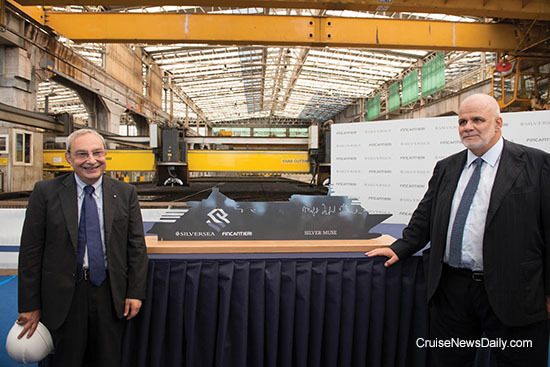 Last Friday, Fincantieri cut the first steel for what will become Silversea’s next ship, Silver Muse, at their yard in Sestri Ponente near Genoa. That’s the first physical step in construction. Photo courtesy of Silversea. All rights reserved. May not be copied or used without permission. Carnival Corp has agreed to bring their US ships and procedures into compliance with the Americans with Disability (ADA) Law, as the US Dept of Justice interprets it. The agreement addresses accessibility on 62 ships of the Carnival, Holland America and Princess brands. Carnival also agreed to create accessibility standards and policies for their cruises that embark and disembark from US ports.